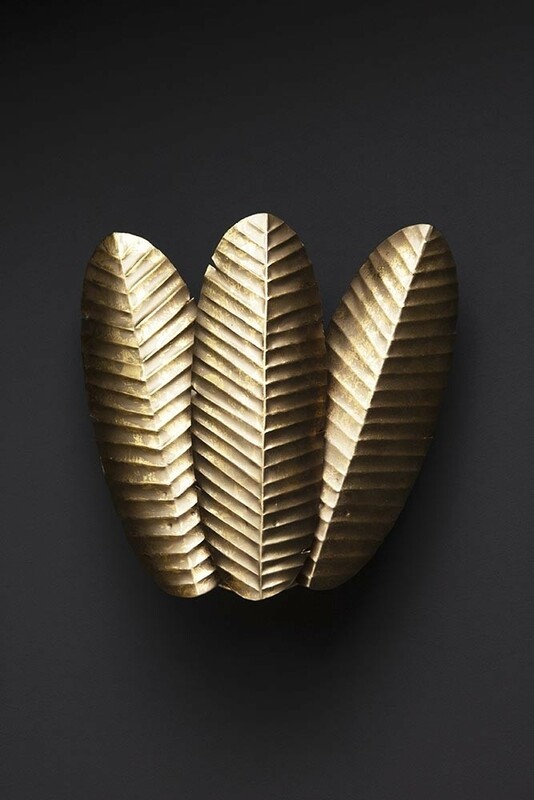 Perfect for adding a touch of nature, beauty and style to your décor we love the Banana Leaf Trio Wall Light. 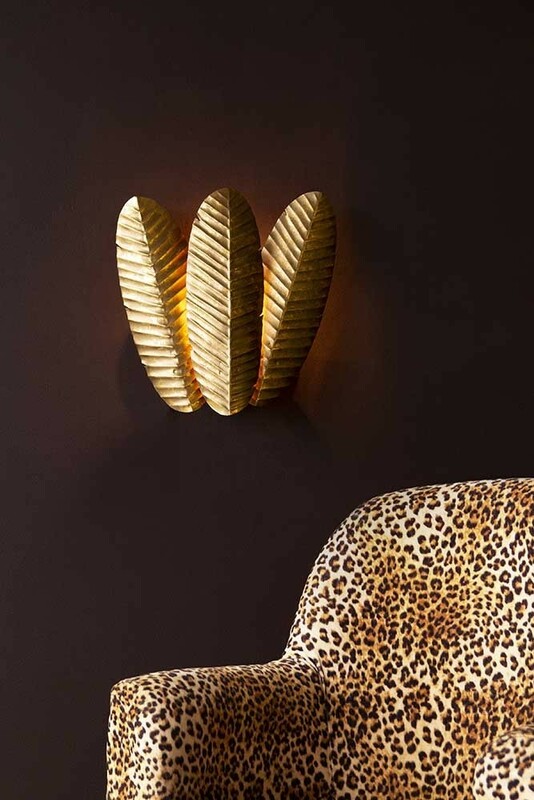 Unique lighting with a modern twist the Gold Leaf Plate Wall Light is an eclectic and beautiful wall light that .is great wall lighting for your hallways, bedrooms, living rooms , dining rooms and home office. 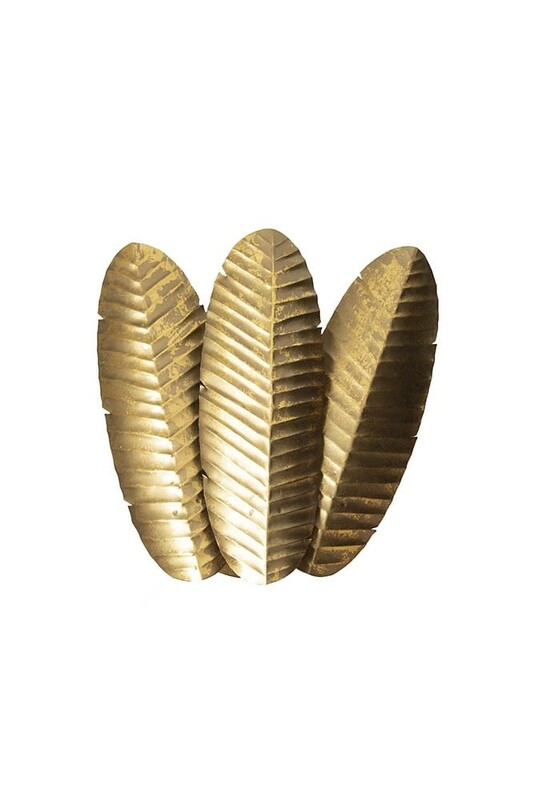 Part of our new Grand Simplicity Lighting the light features a metal distressed brass leaves with gold leaf detailing and distressed brass wall fixing. Please note, that this wall light is handmade and will have the expected imperfections. We recommend hiring an electrician to fit your wall light to the wall. Elegant, artistic and really unique we designed this Wall Light to complement and add a touch of sophistication and eclecticism to your interiors. 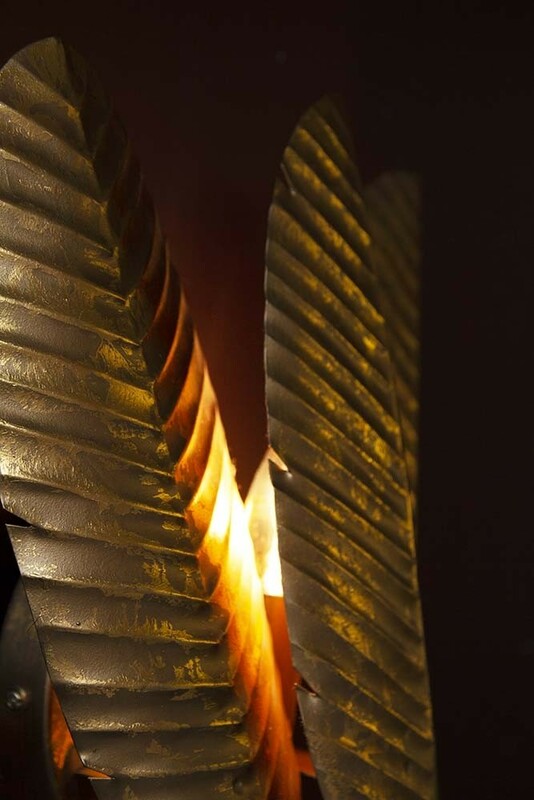 The Metal Leaves Wall Light is part of our new collection of table lights, wall lights and ceiling lights. Jane and Lucy’s goal was to curate statement lighting that would also flow beautifully with your interiors. No matter what your style! 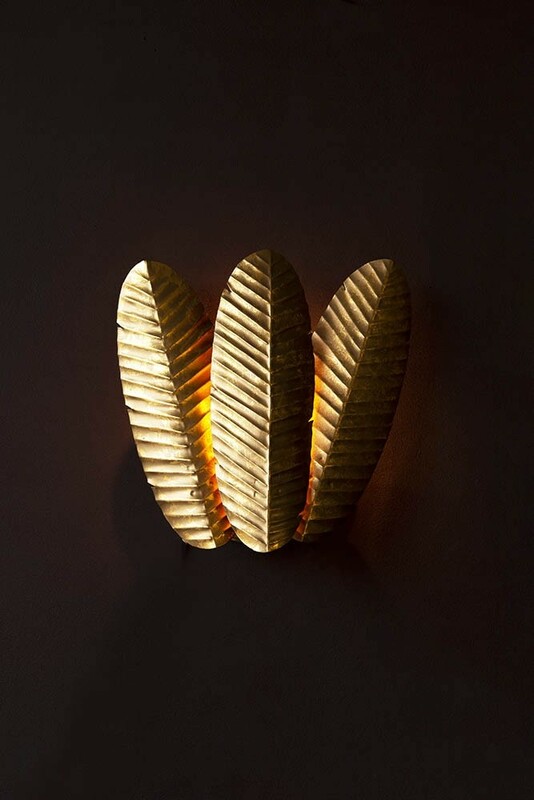 A beautiful art wall light that will look stunning on your walls we think that the Banana Leaf Trio Wall Light is a great alternative to table lights making it a particularly great choice for smaller rooms in your homes or apartment living. Hang the Leaf Wall Light either side of your bed as an alternative bedside table light or over your sofa and armchairs for a statement and decorative look.